This week is National Animal Cruelty/Human Violence Awareness Week, and at the Richmond SPCA, we are proud to provide support to both the human and animal survivors of domestic violence. Through our Sheltering Animals for Abused Families program (SAAF), we work to provide temporary boarding at a confidential location to cats and dogs belonging to domestic violence survivors residing at YWCA, Hanover Safe Place or Safe Harbor shelters. The need to stay in a domestic violence shelter inherently brings a great deal of stress, but things become even more complicated when companion animals are involved. The majority of domestic violence shelters do not accept pets. This leaves pet owners in a very precarious situation. Do you rehome a beloved pet so that you can enter safe housing? Do you refrain from entering a shelter so that you can keep your pet and wind up homeless together? Do you return to an abusive situation so that you can stay with your pet and have housing? 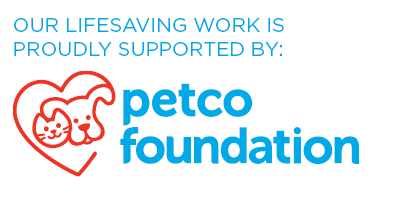 By providing temporary housing for these pets, our SAAF program helps to eliminate these additional difficulties, ensuring safety and peace of mind for the owner. 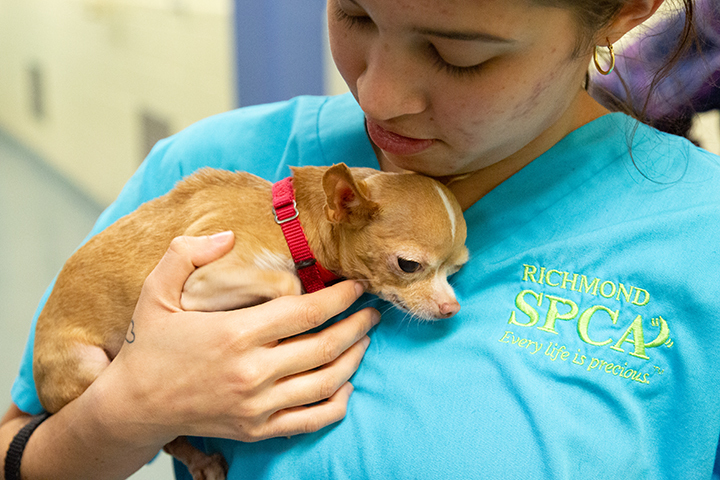 While pets are in the SAAF program, the Richmond SPCA and our confidential partner provide essential care and enrichment to keep them happy and healthy. Our Susan M. Markel Veterinary Hospital covers any necessary medical care for these pets, including spay/neuter services, vaccinations, treatment for allergies and anxiety and more. While their beloved companions are in our program, SAAF clients can reside in a safe environment, with more time and focus to devote to locating long-term housing. SAAF reunions are some of the most incredible parts of my job. We all know that animals provide much-needed love and stability during the most difficult times in our lives. This program allows everyone involved to reside in a safe environment, knowing their family is still united and that it’s only a matter of time until they’re physically together again. Reunions are always filled with tears, snuggles and so much love. They remind us all of the depths of our relationships and the incredible ways in which our animal companions impact our lives. Should you or a loved one ever find yourself in need of SAAF resources, please have your YWCA, Hanover Safe Place or Safe Harbor counselor contact the Richmond SPCA at 804-521-1329. 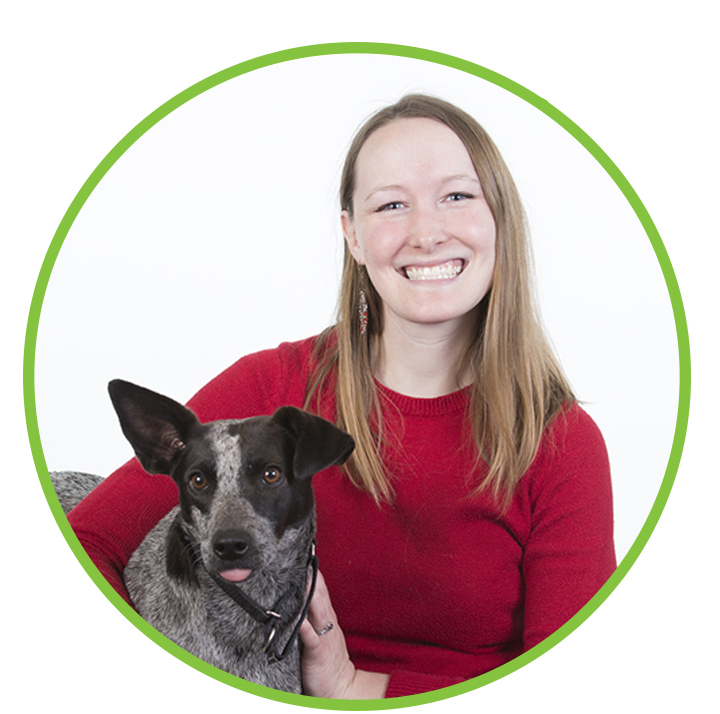 Michelle Russell is the manager of volunteers and programs for the Richmond SPCA.